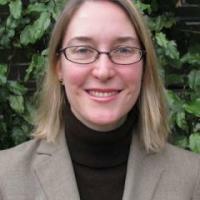 Caroline Stark is an Assistant Professor of Classics at Howard University. Her research interests include ancient cosmology, anthropology, ethnography, and the reception of classical antiquity in later periods and other cultures, especially Medieval and Renaissance Europe/Mediterranean and contemporary African, Caribbean, and African-American Literature and Art. She will be working on two projects while at Duke. The first is "The Io Project," a digital resource on the reception of Classics in Africa and the African diaspora. The project serves as a gateway for scholars, teachers, students, and the public at large to engage with the art, literature, and scholarship of Africa and the African diaspora in dialogue with the ancient Mediterranean. Stark’s second project is an electronic edition of the first commentary of Manilius' Astronomica, a 1st c. CE astronomical poem. It will link the commentary to other extant evidence of Manilius' influence in the cultural and intellectual history of the fifteenth century since the poem was rediscovered in 1417, drawing on letters, poems, artwork, scientific data, and other material. Her fellowship will allow her to tap the expertise of professors Clare Woods and Gregson Davis in Classics. She will present her work at the fall colloquium on born-digital research at Duke's Center for Medieval and Renaissance Studies, and in spring will be collaborating with Woods on a first-year seminar, “Ancient Stories, Modern Worlds” hosted by StoryLab.